Located on Straitsmouth Island, at the entrance to Rockport Harbor, offshore from the northeastern end of Cape Ann. Straitsmouth Island Light from the beginning was poorly constructed, becoming a leaky, watery, damp dwelling much to the misgivings of many of its keepers. Even when portions were rebuilt, poor construction again caused the buildings to quickly deteriorate. In 1967, the land was deeded as a wildlife sanctuary with the lighthouse tower operated by the Coast Guard, but the Keeper’s dwelling was constantly vandalized and fell into total disrepair, with no funds for restoration. Some restoration efforts have been made to the lighthouse only. The island is now maintained and protected as a wildlife sanctuary by the Massachusetts Audubon Society. Rockport is home to many artists and has been painted and photographed by the many tourists who flock to this picturesque seacoast village that offers restaurants, specialty shops and beaches. Rockport’s Front Beach is small and intimate, with places to eat you can walk to, and there is Back Beach and Old Garden Beach, which are small and a little out of the way, but with great views. Visitors can explore nearby Thacher Island to view the two Thacher Island Lighthouses (also known as Twin Lights) if they join the Thacher Island Association during the summer months. There are also opportunities for guest accommodations for those that may want to stay overnight at the campsite nearby. 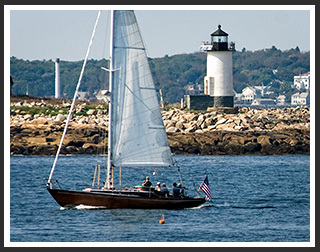 There are various tour boats leaving out of the T Wharf in Rockport for sailing, fishing, whale watching, and all kinds of recreational activities. The lighthouse is off limits to visitors as it is a protected wildlife sanctuary. Boat cruises mentioned below pass by Straitsmouth Light during specific lighthouse cruises, narrated wildlife and historic tours, whale watching, fishing tours and other types of excursions. Trip to Thacher Island may pass by the lighthouse. 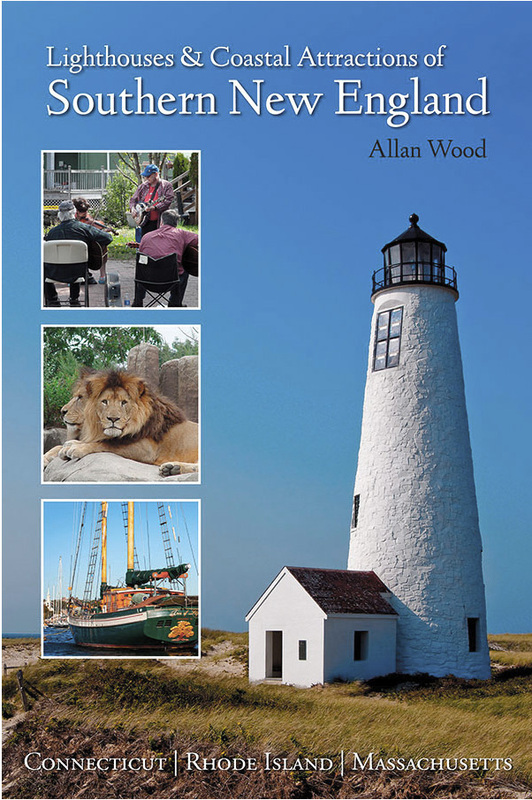 Has a "Lighthouses of Cape Ann" tour that passes by the lighthouse. Passes by the lighthouse as part of their 6 lighthouse Cape Ann tour. In addition to providing many types of cruises around Boston Harbor and its nearby lighthouses, they offer a special Northern Lights tour from Boston Harbor up along the North Shore, co-sponsored with the Friends of Boston Harbor Islands.